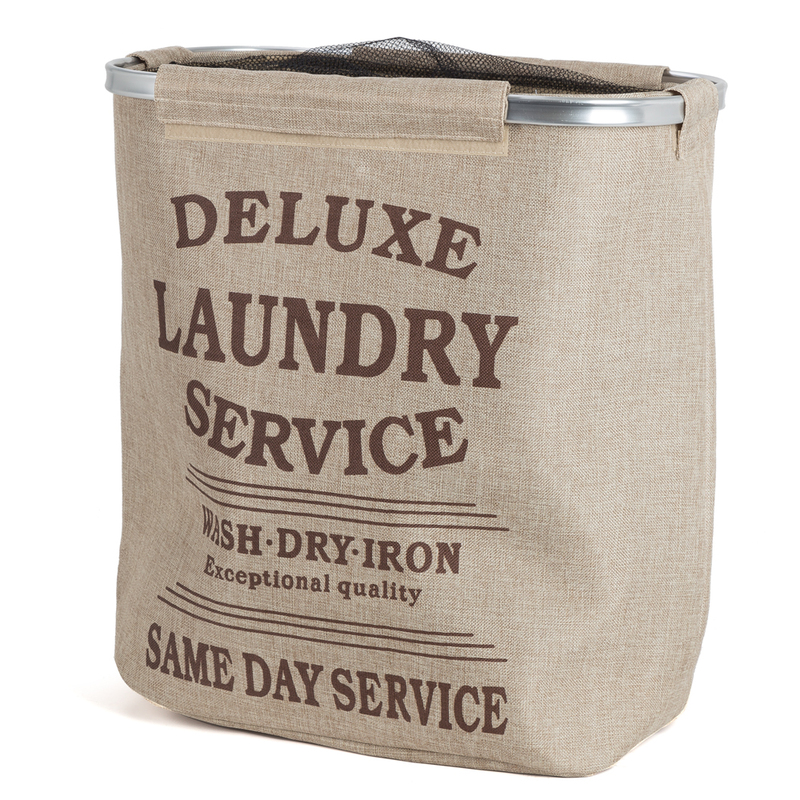 The Capri Divided Laundry Hamper folds up flat but it’s neutral, stone coloured fabric body means that it blends in well with any setting. It has a fun, retro feel with the words of an old fashioned laundry advertisement printed on the front. 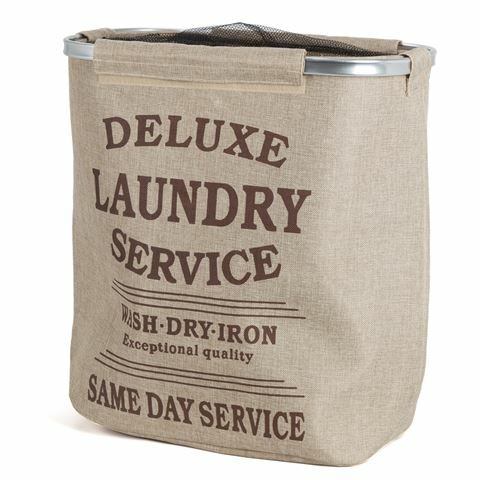 Its divided drum means that you can separate your washing including whites and colours. There’s plenty of room for everything and the mesh closure means that your washing will stay in place. There’s also an alloy rim for easy access and stability supports, so it won’t fall over spilling your washing. Divided so you can separate your laundry. Dimensions: 70cm (l) x 56cm (h).